Londoners are synonymous with hip city fashion. Emulate their style with this simple yet cool outfit. 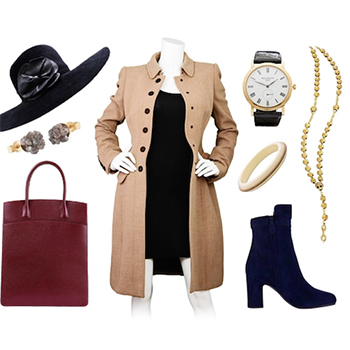 Throw a knee length coat over a simple black frock, add some Chelsea booties and of course a hat and you’re ready to hit the streets!